A bitter dispute between major transplant centers over nationwide sharing of organs looks poised to land in Congress next year. The reason? Fallout from a major change made earlier this month to the decades-long geography-based system for distributing organs. The contention comes from the inherent disparity between regions. Some states, mostly in the Midwest and South, have more organs than others. 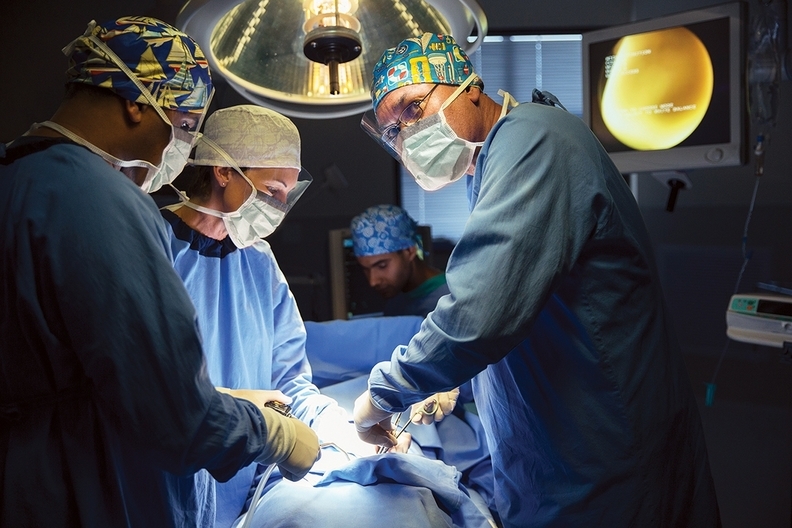 Others, like California and New York, have far too few organs to keep up with the demand. On Wednesday night, Sen. Jerry Moran, a Kansas Republican whose state would lose organs under the change, took to the Senate floor to denounce the new policy as a "major, significant error" and to warn that legislation is coming. Moran also told Modern Healthcare this week that he would work on getting co-sponsors from the Senate's committees with health policy jurisdiction. Sen. Todd Young (R-Ind. ), who has long advocated for greater congressional scrutiny of the entire system, is also discussing a bill. The board of the United Network for Organ Sharing, or UNOS, which is charged with overseeing organ allocation policy, made the change. UNOS works on behalf of the Organ Procurement and Transplantation Network, or the OPTN. The OPTN is a not-for-profit organization that contracts with the federal Health Resources and Services Administration to manage the complicated, sprawling system. Representatives of all those with a stake in the policy make up the UNOS board—from transplant surgeons to transplant recipients and organ donors and organ procurement organizations. But because the policy debate pits regions against one another, UNOS members have remained gridlocked over any substantial modifications to the current system that left some regions with a steady shortfall. After a relatively minor tweak to the policy last year, transplant candidates from states that see a wide disparity between the number of available organs versus how many patients are awaiting transplant, sued. Then in July, six plaintiffs—liver transplant candidates from California, Massachusetts and New York—sued HHS, UNOS and OPTN in a federal District Court in New York. They alleged the regional system violates the federal mandate for an equitable distribution policy, HRSA's top deputy, George Sigounas, weighed in and told the OPTN in a letter that the group needed to eliminate the regional system by this December. One of the plaintiffs, a New York City woman who contracted a liver disease as a baby from a blood transfusion, died before the change was made. She was on Medicaid and couldn't afford to leave her region for a transplant. But Moran and another lawmaker are criticizing the fact that a lawsuit helped drive the change and that the board opted for a different policy than the compromise brokered by a slim majority of the UNOS liver committee. "HRSA has allowed the lawsuit to abdicate its responsibility and instead allowed a single case to divert liver allocation policy around the United States," Moran said Wednesday. Last week, Moran joined GOP Sen. Roy Blunt of Missouri on a strongly worded letter to HHS Secretary Alex Azar that probed HRSA's push. The OPTN "process needs to be open, transparent and one that takes into consideration both the expertise of the Liver and Intestine Committee and the public comments submitted by the current liver distribution regions," the senators told Azar. They also said they expect more litigation will follow from the change. After the letter was made public, UNOS spokesman Joel Newman told Modern Healthcare that the OPTN has aimed since 2012 to "significantly reduce geographic variation in how sick liver candidates must become before they are likely to receive a transplant."